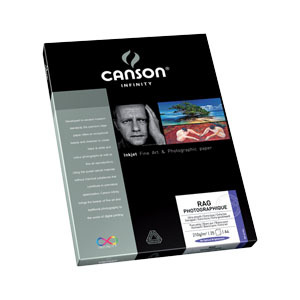 Canson Infinity Rag Photographic is made from 100% cotton with a soft, smooth white tone surface. It has been created to possess longevity and meet the highest quality that galleries and museum expect. Available in Rag Photographic Duo for double sided printing.